He injured his finger with the hammer. 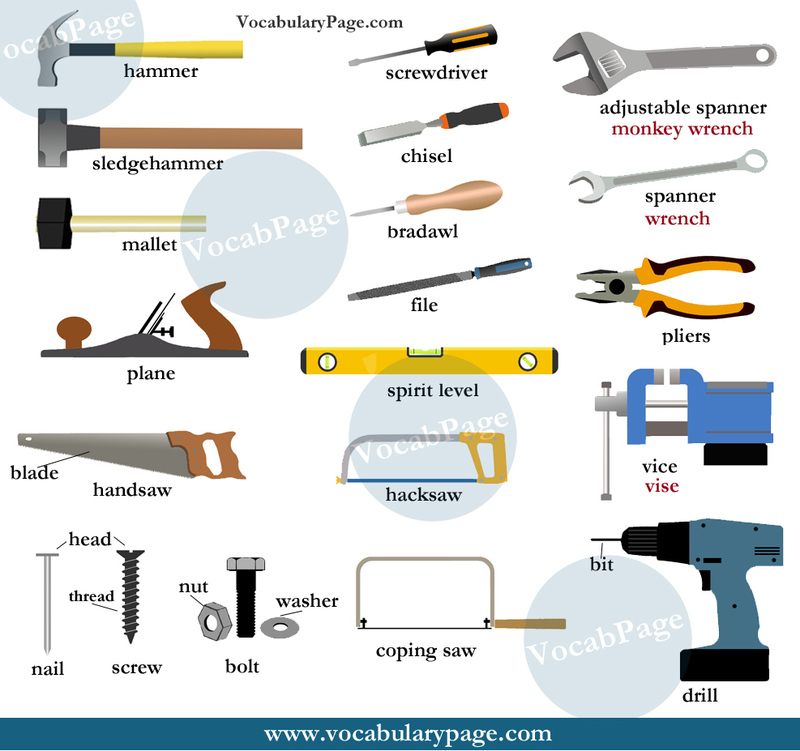 He used a sledgehammer to crack a nut [idiom: he did something using much energy or force]. The wooden mallet used by a judge to call for attention is a gavel. I need a screwdriver and rubber mallet to assemble the furniture. Never use your screwdriver as a chisel, you can injure yourself. An electric tool for smoothing wood is called a planer. He tried to smooth the wide board with the plane. While using the handsaw, always hold the wood firmly in place with another hand. The joiner used a coping saw to trim the corners of the cornice. The plumber cut the plastic pipes with a hacksaw. Make a pilot hole with the bradawl before inserting the screw in wood. He sharpened the knives with the file. You should use a mallet to drive the chisel. I cannot loosen these stubborn nuts with this spanner. The electrician cut wires with his pliers. After you hang the picture frame, with a spirit level check that it is straight. He attached the vise securely to the table. 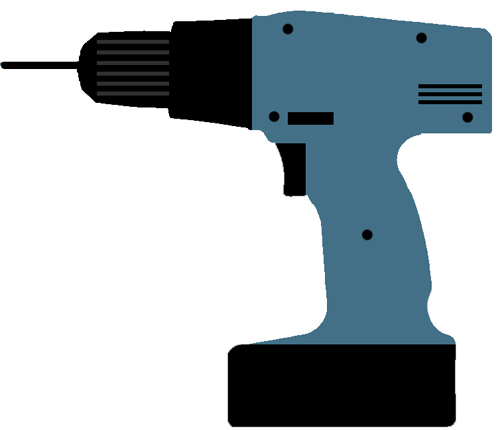 When using the electric drill, always wear safety goggles [safety glasses] to protect your eyes. While working with sandpaper, wear a dust mask. I hammered the nail into the wall using the nail and clothespin technique. How can I loosen the stuck bolt and nut? 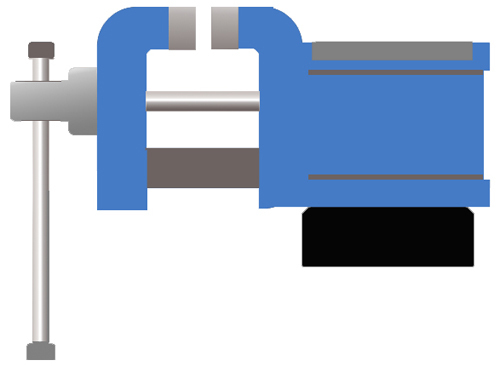 a flat ring that is used under a nut or head of a bolt/screw in order to prevent the nut or bolt from loosening or damaging a surface.